But Vatican II had also set its trap of unilaterally recognizing Orthodox Mysteries (Sacraments) into which the Balamand Orthodox fell according to plan. 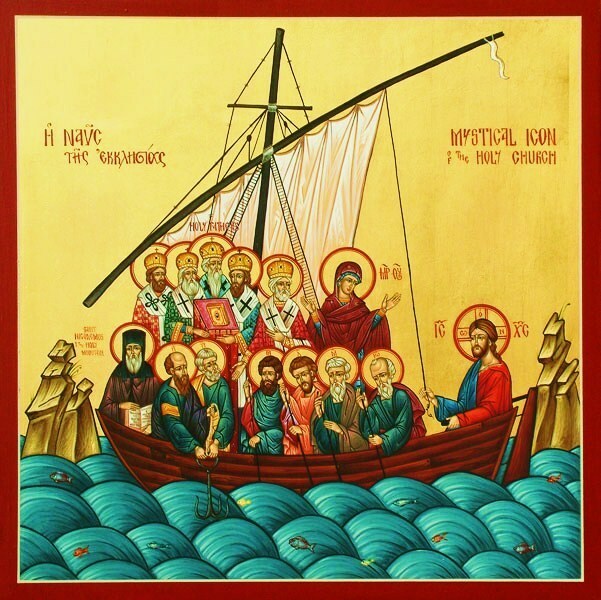 More important than the validity of Mysteries is the question of who participates in them…It would seem that the Orthodox may legitimately and dutifully wish and hope out of love that Latin and Protestant mysteries are indeed valid and efficacious, but leave the matter in the hands of God. But to pronounce them valid, 1) when the Latins do not accept glorification (theosis) in this life as the central core of Apostolic Tradition and succession and 2) when they believe instead that happiness is one’s final end, is indeed strange. One does not need valid Mysteries in order to become eternally happy. 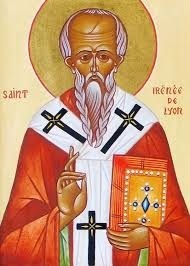 Franco-Latin official teachings on the Mysteries have been historically not only un-Orthodox, but anti-Orthodox. …At the time of Vatican II the New York Times had announced on its title page that the schism between the Orthodox and the Vatican had supposedly ended. This was due to the fact that the Latins understood the lifting of the Anathemas of 1054 as a lifting of the excommunication. Constantinople lifted, as it seems, only anathemas. For the Latins this was in keeping with Vatican II on the validity of Orthodox Mysteries. This made it possible for Latins to take communion at Orthodox Churches and, according to the Latins, vice versa. The Orthodox had difficulties refusing communion to Latins and the Vatican temporarily suspended the practice. This Balamand agreement has been accepted by the representatives of nine out of 14 Orthodox Churches but not yet by their Synods nor by a Pan-Orthodox Council. In the meantime the Vatican may once again encourage Latins and Uniates to take communion at Orthodox Churches while encouraging the Orthodox to do likewise. 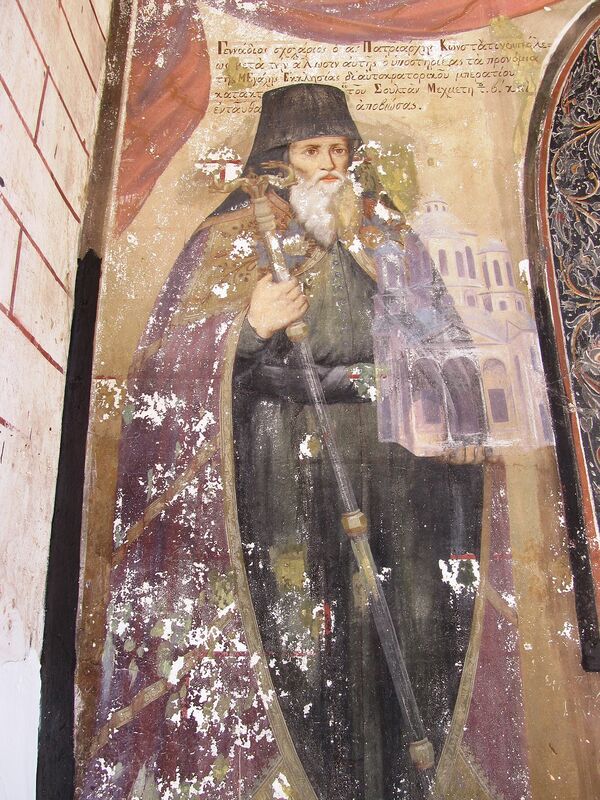 The very fact that the Orthodox at Balamand have extended full recognition to Latin Mysteries means that the impression could be easily created that only bigotry could be the reason for refusing inter-communion and con-celebration. …Since at least 1975 the WCC has been carefully and very successfully cultivating the image of the Orthodox as lacking Christian love for refusing communion to others. 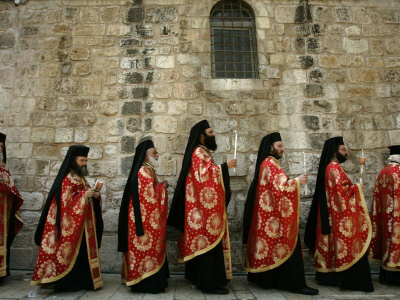 A likely refusal of the Orthodox to accept Uniates under one of their Archbishops or Patriarchs may become part of a similar practice of picturing the Orthodox as indeed bigots, especially since in this case they would be refusing communion to and con-celebration with clergy whose mysteries they fully recognize. 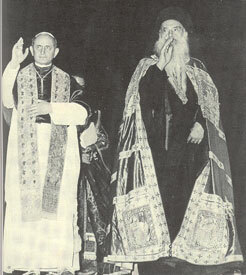 Now that the Balamand agreement has become a candidate to become a sequel to Vatican II and in which case Uniatism will no longer have any reason for existing, the Orthodox will be faced with the consequences of their continued refusal of communion with the Latins and Uniates. What is most interesting is the fact that according to the Balamand agreement Mysteries are valid whether one accepts seven or 22 Ecumenical Councils and their teachings and practices. The impression will be certainly created that only lack of love could be the reason why the Orthodox may continue to refuse inter-communion and con-celebration with the Vatican. It seems that the Orthodox at Balamand are attempting to introduce an innovation in regards to biblical Mysteries. Up to now the Orthodox Churches usually accepted into their membership individuals or Churches by means of either exactitude (akribeia) or economy (oikonomia). Neither of these two means of entry into the Church is in itself a judgment on the validity or non-validity of the sacraments of the Church of origin, since there are no Mysteries outside of the Body of Christ. One is either a member of the Body of Christ by his baptism of the Spirit, i.e. illumination and/or glorification in Christ or one is still in the state of purification by his baptism by water unto forgiveness of sins and in the process of becoming a member of the Body of Christ and a temple of the Holy Spirit. One may be a believer in Christ without belonging to either of these categories. This holds true for nominal Orthodox also. It is up to each Synod of Orthodox bishops to decide the status of each group of those who are seeking communion within the Body of Christ. … [S]ince Peter the Great…professors of Orthodox faculties became no longer aware, and many are still not aware, of this biblical/patristic tradition of cure and are therefore prone to copy from non-patristic or non-Orthodox works to write their teaching manuals. The result has been the appearance of large groups of clergy who no longer see any important difference between the Latin and Orthodox understandings of the Mysteries within the Body of Christ. The dignity of the Bishop is so necessary in the Church, that without him, neither Church nor Christian could either be or be spoken of. 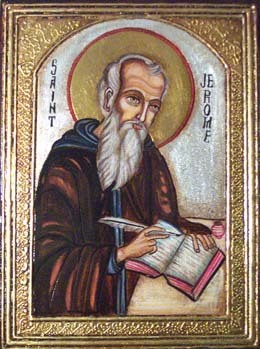 For he, as a successor of the Apostles, having received in continued succession by the imposition of hands and the invocation of the All-holy Spirit the grace that is given him of the Lord of binding and loosing, is a living image of God upon the earth, and by a most ample participation of the operation of the Holy Spirit, who is the chief functionary, is a fountain of all the Mysteries [Sacraments] of the Catholic Church, through which we obtain salvation. It is obvious that this great mystery and dignity of the Episcopate has come down to us by a continued succession. For since the Lord has promised to be with us always, although He is with us by other means of grace and Divine operations, yet in a more eminent manner does He make us His own and dwell with us through the Bishop as chief functionary and through the divine Mysteries [sacraments] is united with us. The Bishop is the first minister, and chief functionary, through the Holy Spirit, and does not allow us to fall into heresy. And, therefore [John] of Damascus, in his Fourth Epistle to the Africans, said that the Catholic Church is everywhere committed to the care of the Bishops. 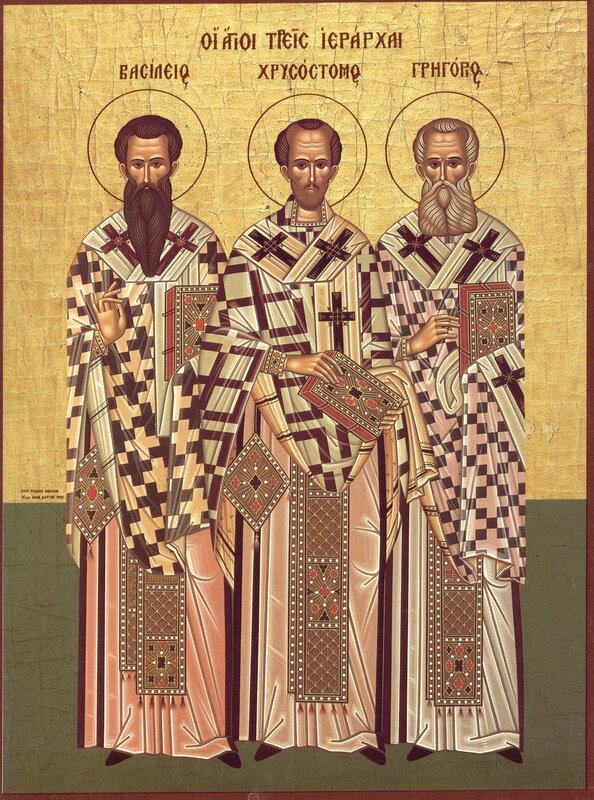 Clement, the first Bishop of the Romans, and Evodius at Antioch, and Mark at Alexandria, were acknowledged successors of Peter. Also [acknowledged] is that the divine Andrew seated Stachys on the Throne of Constantinople, in his own stead; and that in this great holy city of Jerusalem our Lord Himself appointed James, and that after James another succeeded, and then another, until our own times. And, therefore, Tertullian in his Epistle to Papianus called all Bishops the Apostles’ successors. To their succession to the Apostles’ dignity and authority Eusebius, the [friend] of Pamphilus, testifies, and all the Fathers testify, of whom it is needless to give a list. The common and most ancient custom of the Catholic Church confirms this . And that the dignity of the Episcopate differs from that of the simple Priest, is obvious. For the Priest is ordained by the Bishop, but a Bishop is not ordained by a Priest, but by two or three High Priests, as the Apostolic Canon directs. And the Priest is chosen by the Bishop, but the High Priest is not chosen by the Priests or Presbyters, nor is he chosen by secular Princes, but by the Synod of the Primatial Church of that country, in which is situated the city that is to receive the ordinand, or at least by the Synod of the Province in which he is to become a Bishop. Or, if the city should choose him, it does not do so absolutely, but the election is referred to the Synod. And if it appear that he has [been chosen] agreeably to the Canons, the [Bishop] Elect is advanced by ordination by the Bishops, with the invocation of the All-holy Spirit. But if not, he whom the Synod chooses is advanced . The [simple] Priest, indeed, retains to himself the authority and grace of the Priesthood, which he has received; but the Bishop imparts it to others also. 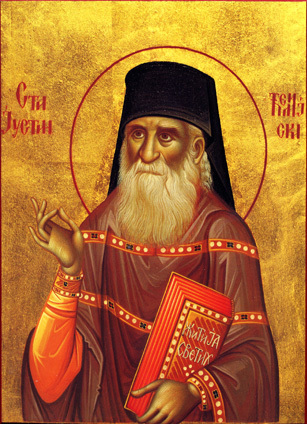 And the one having received the dignity of the Priesthood from the Bishop, can only perform Holy Baptism, and Prayer-oil, minister sacrificially the unbloody Sacrifice, and impart to the people the All-holy Body and Blood of our Lord Jesus Christ, anoint the baptized with the Holy Myron [Chrism oil], crown the Faithful legally marrying, pray for the sick, and that all men may be saved and come to the knowledge of the truth, (cf. 1 Timothy 2:4) and especially for the remission and forgiveness of the sins of the Faithful, living and dead. And if he be eminent for experience and virtue, receiving his authority from the Bishop, he directs those Faithful that come unto him, and guides them into the way of possessing the heavenly kingdom, and is appointed a preacher of the sacred Gospel. 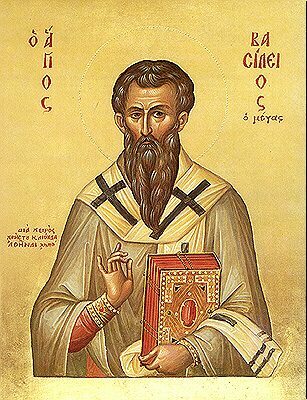 The High Priest is also the minister of all these, since he is in fact, as has been said before, the fountain of the Divine Mysteries and graces, through the Holy Spirit, and he alone consecrates the Holy Myron [Chrism oil]. And the ordinations of all orders and degrees in the Church are proper to him; and in a primary and highest sense he binds and looses, and his sentence is approved by God, as the Lord hath promised. (Matthew 16:19) And he preaches the Sacred Gospel, and contends for the Orthodox faith, and those that refuse to hear he casts out of the Church as heathens and publicans, (cf. Matthew 18:17) and he puts heretics under excommunication and anathema, and lays down his own life for the sheep. (cf. John 10:11) From which it is apparent, that without contradiction the Bishop differs from the simple Priest, and that without him all the Priests in the world could not exercise the pastorate in the Church of God, or govern it at all. But if the organising of the Churches is distasteful to you, and you do not think the ministry of the episcopate has its reward, why, then you have brought yourself to despise the Saviour that ordered these things? I beseech you, dismiss such ideas, nor tolerate those who advise you in such a sense, for this is not worthy of Dracontius. For the order the Lord has established by the Apostles abides fair and firm; but the cowardice of the brethren shall cease. To Be Creedal is to Be Unified! Many Protestant churches such as the Anglican, Reformed and Lutheran, recite the Creeds within their liturgy. But are they casting judgment on themselves for doing such a thing? Perhaps the reason why every one of these ‘unions’ of sort have fallen into the hands of liberalism is because they are indeed casting themselves into the hands of the living God…Which is grace for them, since God seems to be trying to get their attention by not allowing such movements to survive. What is meant by the term “Catholic” and “Universal” church within the Creed? To some in our day the term is used for describing any church that is a true church according to basic Christian standards, regardless of authority and the posture they have to the rest of the Church and her history. These groups attempt to take lingusitic authority of the words but not patristic authority. If we look at the history of the Church we find that these terms are used exclusively to describe non-schismatic churches. The Christian faith is founded in the Creeds in that the Creeds protect the very nature of Christ and His Church. Formed out of the early Church and Councils, the Creeds were created to help ward off various heresies that were common in that day. The heresies that the Creeds (Nicene, Apostle’s and Athanasius) were created to protect us from are still prevalent in our day! The Creeds set forth vital dogmas of the faith that if compromised by any people, determines them to be a sect or all together heretical. The Creeds include the dogma of God as our Creator, The Trinity, the Virgin birth, the Crucifixion and Resurrection of Christ, the resurrection of believers and the return of Christ for his Church. Each of these dogmatic pronouncements within the Creeds have protected us from the modern heresies such as liberalism and cults such as the Jehovah’s Witnesses. What was the understanding of the “Catholic and Apostolic Church” at the time the Creeds were constructed? You will find below a number of bishops from the early church (pre and post Nicene) describing what is meant by the term catholic. There is more than what, say, Augustine wraps up in the term, that can be found in the Athanasius Creed, as well as other patristic writings. This does not mean that each bishop is giving their personal definition of the term, but rather it means that there is much to be said about the term. It is a term that is very complex. “You ought to know, then, that the bishop is in the Church and the Church in the bishops; and if someone is not with the bishop, he is not in the Church. They vainly flatter themselves who creep up, not having peace with the priest of God, believing that they are secretly in communion with certain individuals. For the Church, which is one and catholic, is not split or divided, but is indeed united and joined by the cement of priests who adhere to one another” (Letters 66:8 [A.D. 253]). 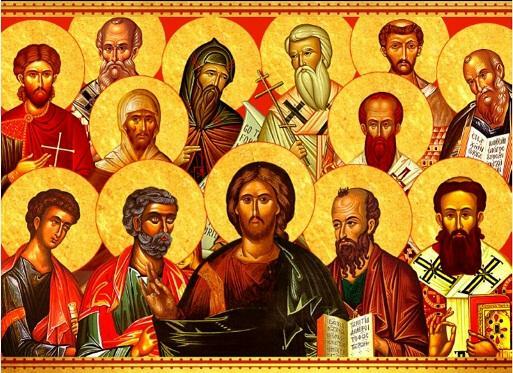 “It is possible, then, for everyone in every church, who may wish to know the truth, to contemplate the tradition of the apostles which has been made known to us throughout the whole world. And we are in a position to enumerate those who were instituted bishops by the apostles and their successors down to our own times, men who neither knew nor taught anything like what these heretics rave about” (Against Heresies 3:3:1 [A.D. 189]). A church does not adhere to the Creeds if they are not under apostolic succession, which is clearly proven in just how the term “catholic and apostolic” Church is patristically defined. “Apostolic” never meant to refer to those that have similar doctrines as the Apostles, even the doctrine of the Trinity; rather, the term Apostolic was used in patristic times when referring to proper apostolic succession of the episcopate. No Protestant Church has apostolic succession! 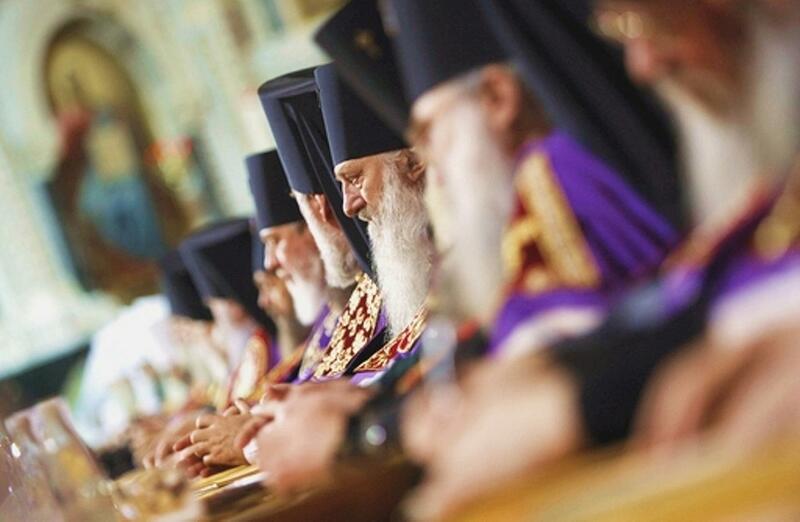 They are not in communion with the Orthodox Church or even the Roman Church, for that matter. 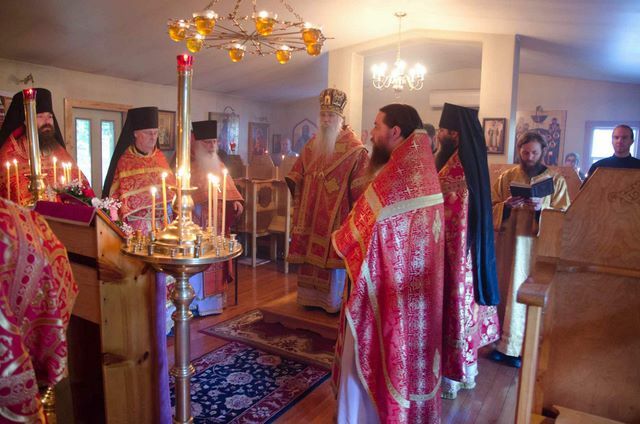 Orthodoxy teaches that once a bishop breaks from the unified Church he no longer has succession and is not in communion with the Body of Christ! Christ commanded that we be unified (John 17) and that we be under the authority of the apostolic lineage (Matthew 16). Splinter groups off of Rome (who is already splintered from the Orthodox Church) are not even being considered for future disucssions of union with the Church. The reason for this, is, again, they are not connected to the authority of the apostles in any way. They may have some similar doctrines, but the Church is a living organism that only operates properly if they are unified under the same spiritual authority. Doctrines here and there are not a spiritual authority. There must be relationship! The Trinity represents God as communal. The Church is to be communal and relational. The Holy Spirit Himself works through this communal effort. As Saint Paul said in 1 Corinthians 1:13, Christ is not divided and so we cannot be divided. Division over doctrine that is not Creedal is schismatic and sinful, and the only way that we will ever get back to the miracles that the first millennium Church experienced is if we become united again. Schismatics distract our unity and withhold their gifts from the Church. We need those people in the Church both for our sake as well as theirs! Clement of RomeOur Apostles knew through our Lord Jesus Christ that there would be strife for the office of bishop. For this reason, therefore, having received perfect foreknowledge, they appointed those who have already been mentioned, and afterwards added the further provision that, if they should die, other approved men should succeed to their ministry (Letter to the Corinthians 44:1 [A.D. 95]). You must all follow the bishop as Jesus Christ follows the Father, and the presbytery as you would the Apostles. Reverence the deacons as you would the command of God. Let no one do anything of concern to the Church without the bishop. Let that be considered a valid Eucharist which is celebrated by the bishop, or by one whom he appoints. Wherever the bishop appears, let the people be there; just as wherever Jesus Christ is, there is the Catholic Church (Letter to the Smyrnaeans 8:1 [A.D. 110]). 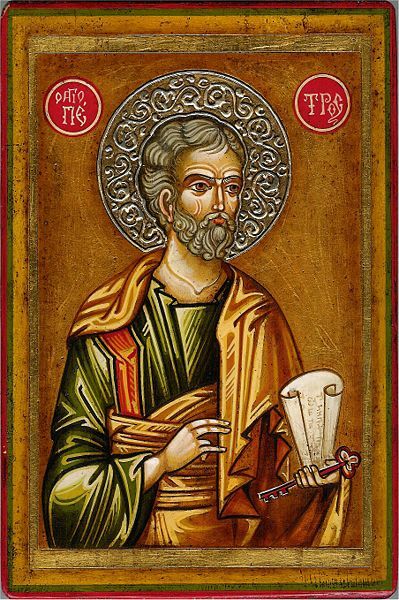 It is possible, then, for everyone in every Church, who may wish to know the truth, to contemplate the tradition of the Apostles which has been made known throughout the whole world. And we are in a position to enumerate those who were instituted bishops by the Apostles, and their successors to our own times: men who neither knew nor taught anything like these heretics rave about. For if the Apostles had known hidden mysteries which they taught to the elite secretly and apart from the rest, they would have handed them down especially to those very ones to whom they were committing the self-same Churches. For surely they wished all those and their successors to be perfect and without reproach, to whom they handed on their authority (Against Heresies 3:3:1 [A.D. 180-199]). It is necessary to obey those who are the presbyters in the Church, those who, as we have shown, have succession from the Apostles; those who have received, with the succession of the episcopate, the sure charism of truth according to the good pleasure of the Father. But the rest, who have no part in the primitive succession and assemble wheresoever they will, must be held in suspicion (ibid 4:26:2). Moreover, if there be any [heresies] bold enough to plant themselves in the midst of the apostolic age, so that they might seem to have been handed down by the Apostles because they were from the time of the Apostles, we can say to them: let them show the origin of their Churches, let them unroll the order of their bishops, running down in succession from the beginning, so that their first bishop shall have for author and predecessor some one of the Apostles or of the apostolic men who continued steadfast with the Apostles. 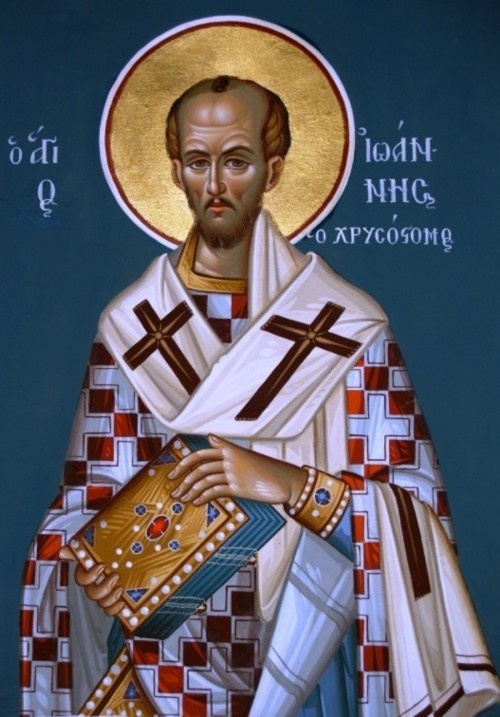 For this is the way in which the apostolic Churches transmit their lists: like the Church of the Smyrnaeans, which records that Polycarp was placed there by John; like the Church of the Romans where Clement was ordained by Peter. In just this same way the other Churches display those whom they have as sprouts from the apostolic seed, having been established in the episcopate by the Apostles. Let the heretics invent something like it. After their blasphemies, what could be unlawful for them? 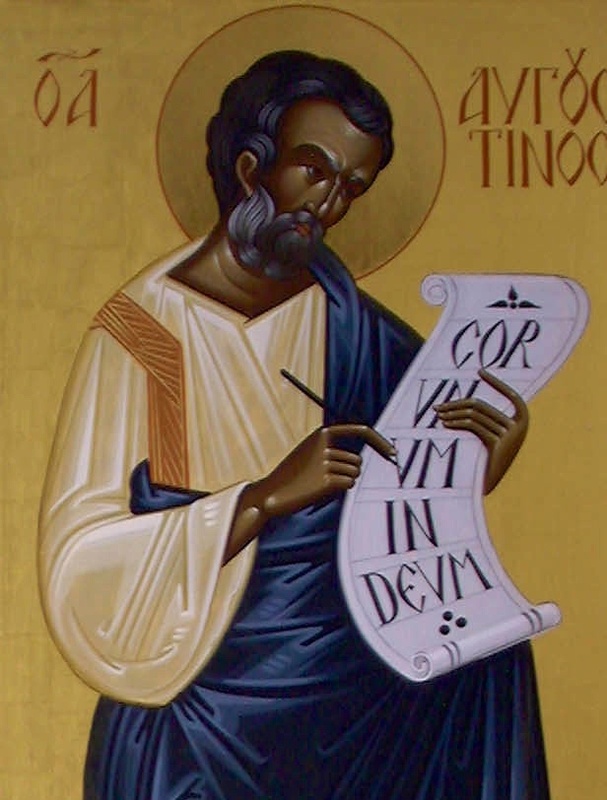 But even if they should contrive it, they will accomplish nothing; for their doctrine itself, when compared with that of the Apostles, will show by its own diversity and contrariety that it has for its author neither an Apostle nor an apostolic man. The Apostles would not have differed among themselves in teaching, nor would an apostolic man have taught contrary to the Apostles, unless those who were taught by the Apostles then preached otherwise. Therefore, they will be challenged to meet this test even by those Churches which are of much later date – for they are being established daily – and whose founder is not from among the Apostles nor from among the apostolic men; for those which agree in the same faith are reckoned as apostolic on account of the blood ties in their doctrine. Then let all heresies prove how they regard themselves as apostolic, when they are challenged by our Churches to meet either test. But in fact they are not apostolic, nor can they prove themselves to be what they are not. Neither are they received in peace and communion by the Churches which are in any way apostolic, since on account of their diverse belief they are in no way apostolic (The Demurrer Against the Heretics 32:1 [A.D. 200]). Clement of AlexandriaAfter the death of the tyrant, the [Apostle John] came back again to Ephesus from the Island of Patmos; and, upon being invited, he went even to the neighboring cities of the pagans, here to appoint bishops, there to set in order whole Churches, and there to ordain to the clerical estate such as were designated by the Spirit (Who is the Rich Man that is Saved? 42:2 [inter 190-210 A.D.]). But what is his error, and how great his blindness, who says that the remission of sins can be given in the synagogues of the heretics, and who does not remain on the foundation of the one Church which was founded upon the rock by Christ can be learned from this, which Christ said to Peter alone: “Whatever things you shall bind on earth shall be bound also in heaven; and whatever you loose on earth, they shall be loosed in heaven;” and by this, again in the gospel, when Christ breathed upon the Apostles alone, saying to them; “Receive the Holy Spirit: if you forgive any man his sins, they shall be forgiven; and if you retain any mans sins, they shall be retained.” Therefore, the power of forgiving sins was given to the Apostles and to the Churches which these men, sent by Christ, established; and to the bishops who succeeded them by being ordained in their place (Letter to Cyprian 75:16 [A.D. 255-256]).